is dedicated to helping our soldiers transition back into society in a productive career, focused on health, wellness and healthy lifestyle choices. Click on the title to visit our website and learn more about our Mission. 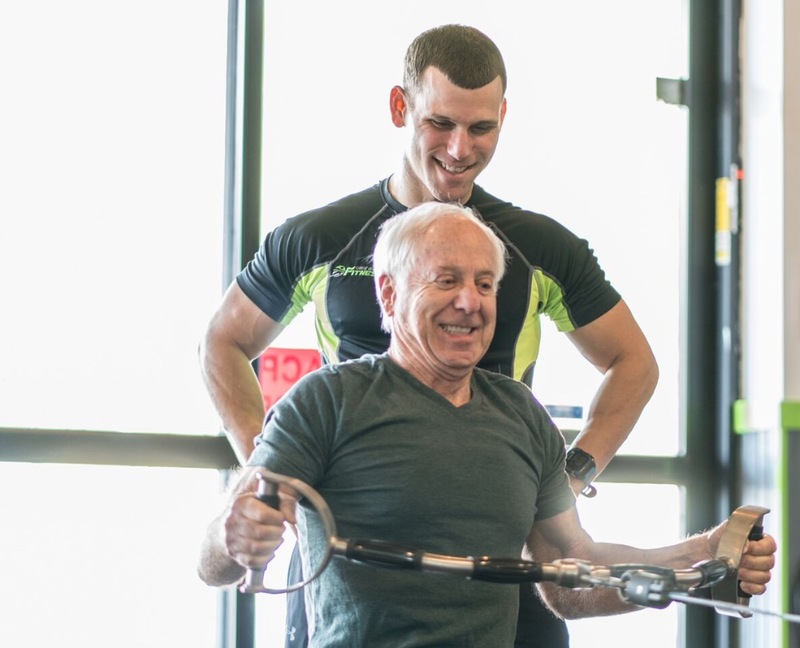 we aim to help thousands of U.S. Armed Forces personnel continue their efforts to improve lives through health & fitness and build a stable future for themselves and their families after their military service. The Health, Wellness and Fitness industry has a need for Fitness and Wellness professionals. Of the 500,000 plus certified fitness professionals in this country only a very small percentage find their way into a lasting career. NAFC has dedicated itself to raising the bar on fitness education, application, and career development and celebrates the compatibility between our transitioning veterans and the growing need for fitness professionals. NAFC Non-Profit needs your help in providing the necessary education and career development to bring our veterans back into society. According to a VA study and report, 22 veterans commit suicide every day. Iraq and Afghanistan Veterans of America, a non-profit advocacy group representing more than 200,000 members, said the nation should be “outraged” by rate of veterans who are taking their own lives — nearly one per hour. You can help NAFC help veterans by making a meaningful and relevant contribution to ease their transition back into society with a career and supply the growing demand for Fitness and Wellness professionals providing aid to a growing number in our society with multiple, chronic health conditions. Not Forgotten™ Assures Donors 90% of every dollar donated is directly applied to scholarship funds. • Extends a 20% Discount on all Certification Courses (with/without scholarship funds). • Includes Career Development and Job Placement services at No Additional Cost. • Extends the 20% Discount on Tuition Fees to immediate family members. NAFC was approved in 2016 by the 9-11 GI-Bill for reimbursement to veterans for the “test-out” of NAFC Programs/Certifications. NAFC has also partnered with multiple organizations who have guaranteed the hiring of all veterans that go through the NAFC certification process. 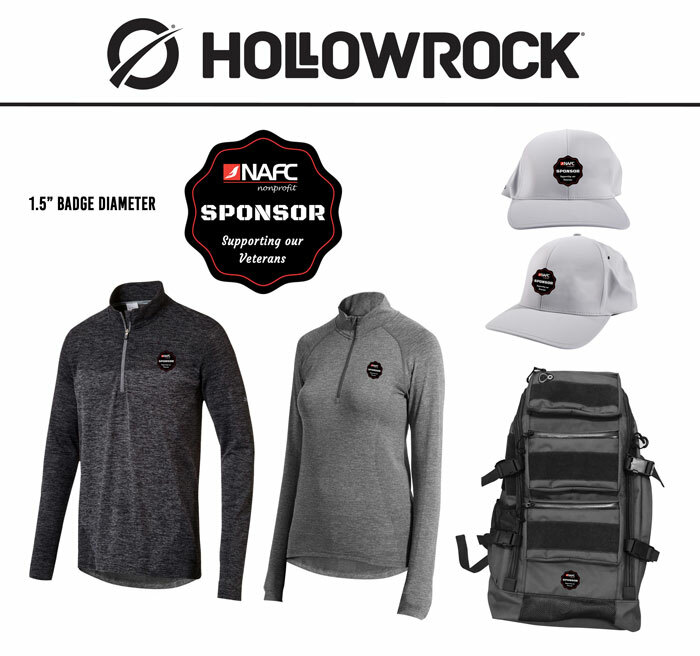 We are proud to feature Hollow Rock Gear as one of NAFC’s “Not Forgotten” Foundation Mission sponsors. Hollow Rock Gear is committed to providing dynamic apparel solutions for the athletes of tomorrow. Incorporating advanced methods and technology in each product provides the user with the confidence to engage in the multitude of disciplines that exist today. • Equinox: Unrivaled fitness classes. 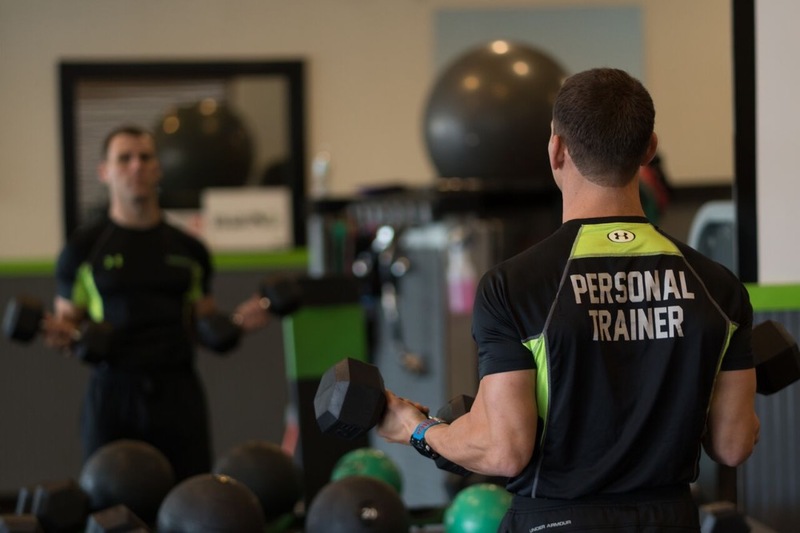 Unparalleled personal training. Studios that inspire you to perform and luxury amenities that keep you at your peak. It’s more than a fitness club. It’s life. • Fitness Learning Systems: Accredited Interactive Online Continuing Education and Education Services. 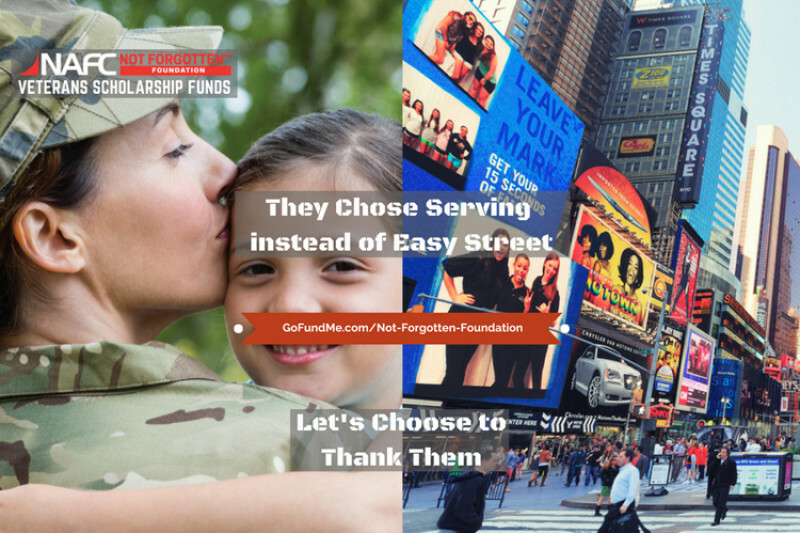 Visit their website to view special discounts and incentives for donors to the Not Forgotten™ Scholarship Program. • Sports & Fitness Insurance Corporation: Insuring personal trainers, instructors, independent studios and nationwide franchises since 1985. • The Ranch Fitness Spa: Ocala’s Premier Day Spa. Escape into an environment where quiet and calm soothe your body, mind, and spirit while you experience a relaxing spa journey. 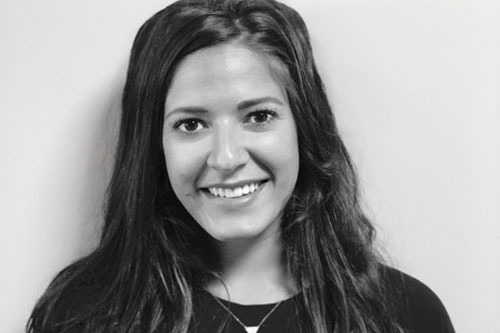 An Interview with a trainer who will inspire you! Equinox, An NAFC Affiliate, has been called a temple of well-being, featuring world-class personal trainers, group fitness classes, and spas. Voted Best Gym in America by Fitness Magazine, Equinox is known for its innovative fitness centers in upscale markets around the world. I am a Connecticut native, lucky to be living in San Diego with my spouse thanks to the Marine Corps good graces. I earned a bachelor’s degree in Exercise Science from Southern Connecticut State University. I fell in love with training after a long-term internship with Yale University’s football team as an assistant strength and conditioning coach. I am currently employed by Equinox La Costa as a Tier 2 personal trainer. It is extremely fulfilling for me to educate others on fitness, nutrition, and how to maintain a healthy, active lifestyle. My favorite part about my job is I am constantly learning about myself and growing as a trainer. I believe that as long as you get a little bit smarter every day, then you are setting yourself up for a lifetime of success. To be honest, all throughout working on my kinesiology degree I never anticipated pursuing personal training as a career after I graduated. I always had a passion for health and fitness, which is why I chose kinesiology, but I feared that if I made PT my job, I would lose my love for it. I had a taste of PT during a 4-month internship as a strength and conditioning coach with the Yale University football team. I found I really enjoyed coaching and motivating the athletes, and I felt immense pride after helping them reach their goals. At this time, I thought this would just be a stepping stone during my college experience. My long-term plan was to graduate with my bachelors and pursue a masters in occupational therapy ASAP. But, my plans changed, and I decided to take a huge leap of faith and move across the country to San Diego to be with my Marine, who is currently serving active duty at Pendleton. I scrambled to look for a job before heading to the west coast. I contemplated and continue to bartend as I did all throughout college, but being a new graduate I felt like I had so much more untapped potential. I came across a listing for a PT job at Equinox and I thought, why not! I felt as though I’m qualified, I enjoy training myself and others, and this could be a great opportunity for me to keep up with exercise science material as I prep for OT school. Later, I honestly had no idea I would love training as much as I do. Aside from my passion of educating others about fitness, nutrition, and health, I absolutely love the connections PT has allowed me to make with others. It’s cool to think that my clients have chosen me to be their coach, and I have become such a large part of their lives. It’s been so exciting seeing my clients fall in love with fitness. I make sure to celebrate the small victories with them, such as increasing weight in their squat, or gaining 1 lb. of muscle mass. That is ultimately what inspires me to continue to be a personal trainer. The progress that I have helped my clients make, as well as witnessing how that progress makes them feel empowered, inspired, strong, and worthy is what gets me up for work at 4:30 am every day. What are 2 of your greatest training challenges? 1. Instilling motivation in new clients! Sometimes people begin training very motivated and ready to work hard, but others just joined because they know they needed to. Those individuals can be difficult to motivate at first because they are working hard but aren’t seeing any results yet. This is where is gets difficult to get them to do their “homework” that I assign them on our off days. For example, solo gym or home workouts, cardio, foam rolling, and stretching. 2. Nutrition! Trying to emphasize the importance of nutrition and how slacking on this component will always, always hinder them from reaching their goals. Especially on the weekends. So many people do well all week and then completely sabotage their progress on the weekends. To prevent this, I try to give them the tools and knowledge to build a healthy lifestyle that balances eating nutrient-dense foods while still enjoying life, and the things that they enjoy. How would you like to see the fitness industry improved? I would love to see an end in the negative stigma that is incorporated around the “weight room.” So often I have heard how intimidating walking into a gym can be for some individuals. New clients have said to me that they often felt very anxious and nervous coming into the gym, sometimes to the point where they wanted to quit. Some women (and men!) do not have the confidence to linger away from the cardio section of the gym, and they feel they will be judged by other more “fit” or “strong” people in the weight room. It’s sad to me that there are individuals who are not challenging themselves enough to stray out of their comfort zone. I would love to see the stereotypes that a gym floor is only a place for men and those select strong women become obsolete. Every gym-goer should feel comfortable wandering over to the free weights without fear of being secretly judged or ridiculed. This is where personal training comes in! My main goal as a trainer is to help my clients feel more and more comfortable in the weight room, even if they have not been brave enough to admit it is one of their fears. I do this by assigning them “homework,” that requires them to get to the weights on our days off of training together. I have found that by sending them out solo after a couple of weeks working as a team has helped them feel more at ease, and as though they are “strong” enough to belong on the floor. My name is Joe Williams, and I’m a recent NAFC Not Forgotten Foundation Scholarship recipient. Fitness has provided me an outlet for a number of things, which includes my suffering with PTSD. I would love to be able to help others who struggle like me, and/or those that just want to better themselves. In my research of NAFC, I noticed that they focus more on injury prevention and the ‘why’ aspect behind each exercise as it pertains to personal training. This is extremely important to me because throughout the industry, personal trainers have developed a bad reputation for working clients too hard. The approach that NAFC takes is a step more with explaining ‘why are we/do we do this exercise’ and what the benefits of doing said exercise may or may not do, along with necessary modifications for the client. I really look forward to my journey and being educated through NAFC. It has been more than 2 years since I lost over 60 pounds through exercise and changing my diet. With these changes and encouragement from co-workers to look into a career in the fitness and wellness industry, I decided that two things I needed to consider in education and certification organizations were cost and a possible veteran’s assistance program. I became interested in NAFC because it met both of my biggest needs with their Not Forgotten Foundation, that offers education, career assistance and scholarships to all active, reserve and retired Military personnel and immediate family members. I pursued my Personal Trainer education through NAFC’s Non-Profit scholarship program “Not Forgotten Foundation” which donated 100% of my course material expenses, and offered career assistance along with job placement. I’m still working through my course studies and although I’m not completely finished, I’m able to use my education and knowledge to help gym members in my current position as front desk services. I’m working towards becoming certified to progress in my career and position in continuing to grow in this field. I hope to also pursue NAFC’s Wellness Consultant certification upon completion of my Personal Trainer certification. Hands-down, NAFC’s Non-Profit scholarship program for the military was the best option for me. My name is Nicholas Hidalgo, and I currently reside in Orlando, Florida. I work at a local private personal training studio, Core and More Fitness. I decided to pursue a career in the fitness industry because being healthy and physically fit has been a way of life for me for over 15 years. 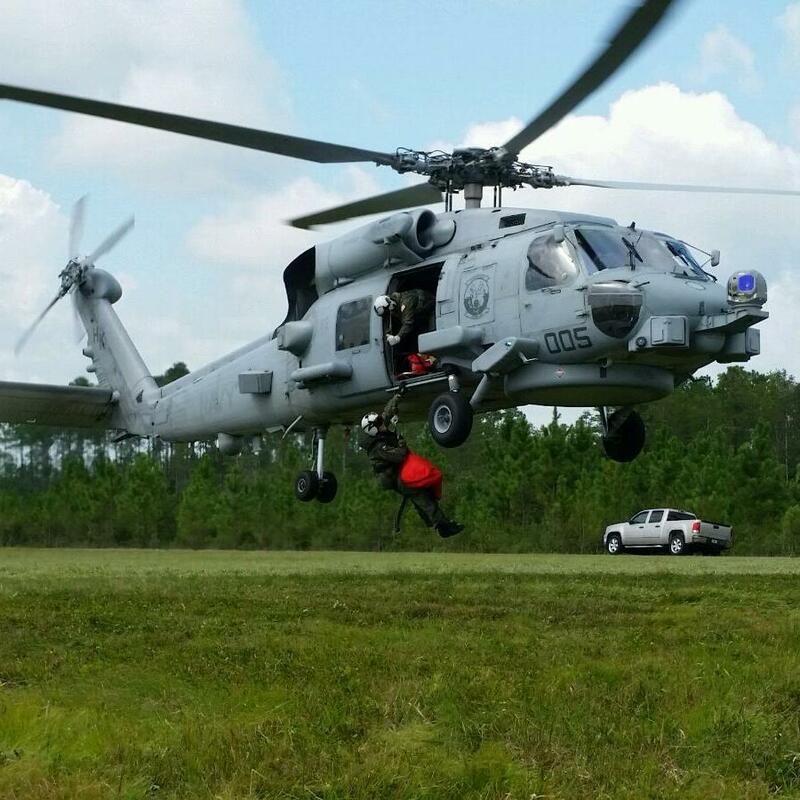 From when I was a young man, to serving in the Navy as an Aviation Rescue Swimmer, fitness has been a way of life for me, and helping others push themselves physically, and adopt a healthy lifestyle through exercise and healthy habits, has been a passion of mine as well. 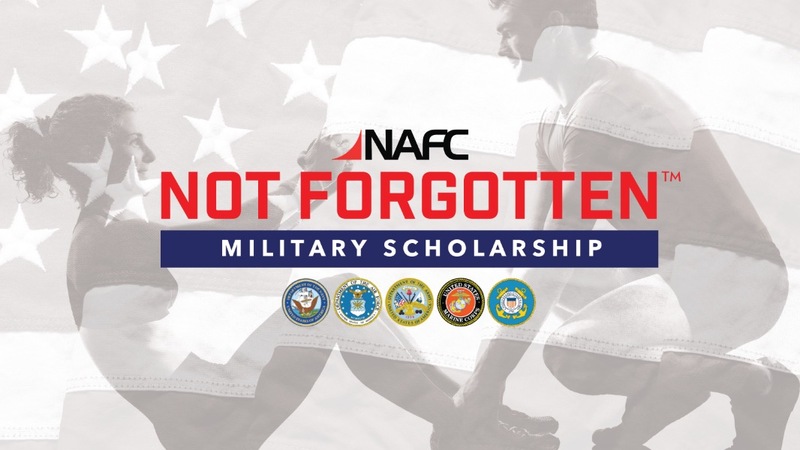 I learned about NAFC Mission’s Not Forgotten Scholarship Program after searching the Internet for a certifying agency that catered towards helping military members, veterans and their family members to get certified. As a Not Forgotten Scholarship recipient for NAFC’s Certified Personal Trainer certification, my overall experience has been amazing. The material was quite extensive, very thorough, and well structured, but with the right motivation and effort, it was not too difficult to get through. One of the many things I liked was how each section was broken down into three fundamental areas. I have to say; I liked how they emphasize safety and form as part of their guiding principles when training. When it came time to take my final exams, they were challenging, but with proper planning and studying, passing scores were achievable. The final practical evaluation was conducted by one NAFC’s Master Training Specialists and was enjoyable. I had Jennifer (lil Jen), and she was very fair with her grading, and again, very thorough with this particular examination. Overall, I had a great experience with NAFC’s program, and I am very appreciative of there willingness to help serve our men and women of the Armed Forces. Thank you, NAFC Not Forgotten Foundation, for all of your help and setting me up for success. Proper Planning Prevents Poor Performance!! !